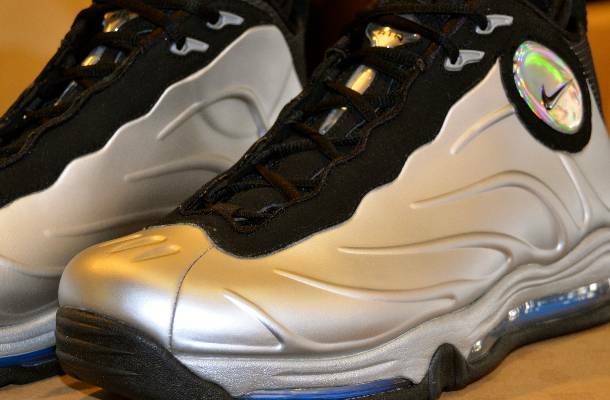 It's hard to imagine a time when a mild-mannered Tim Duncan wore such a gaudy playing shoe, but that was the case when Nike made him the face of the Total Air Foamposite Max in 1998. 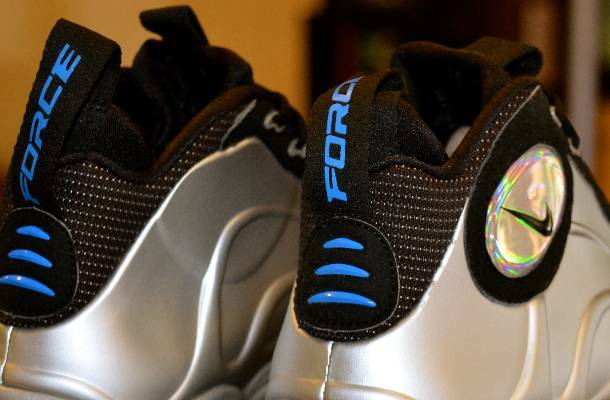 It's hard to imagine a time when a mild-mannered Tim Duncan wore such a gaudy playing shoe, but that was the case when Nike made him the face of the Total Air Foamposite Max in 1998. 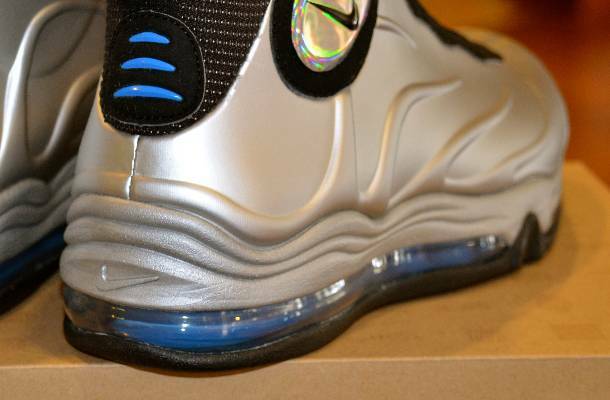 Also known as the "Duncan Foams," the Total Air Foamposite Max will be making a return to retail in the coming months, including the original Metallic Silver pair pictured here. 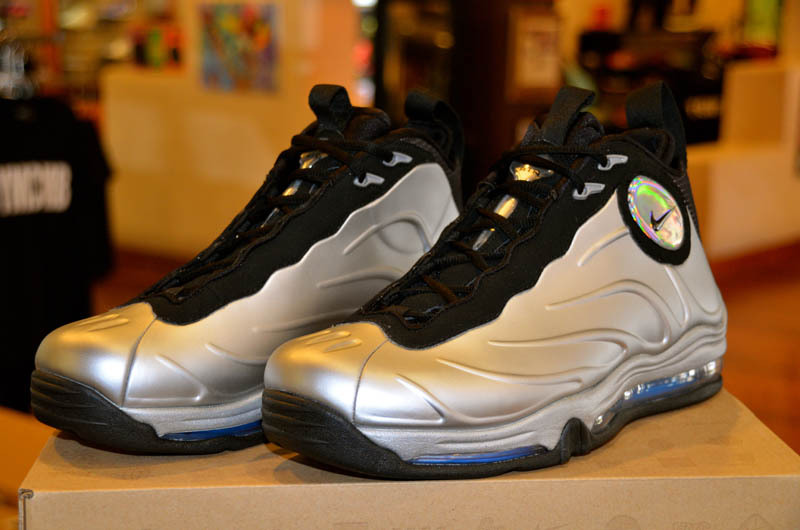 Other features include black nubuck along the eyestay, ballistic mesh around the collar and a lenticular branding jewel on the ankle. Photo Blue accents the heel and full-length Max Air unit, which sits atop a black and blue rubber outsole to cap off the look. 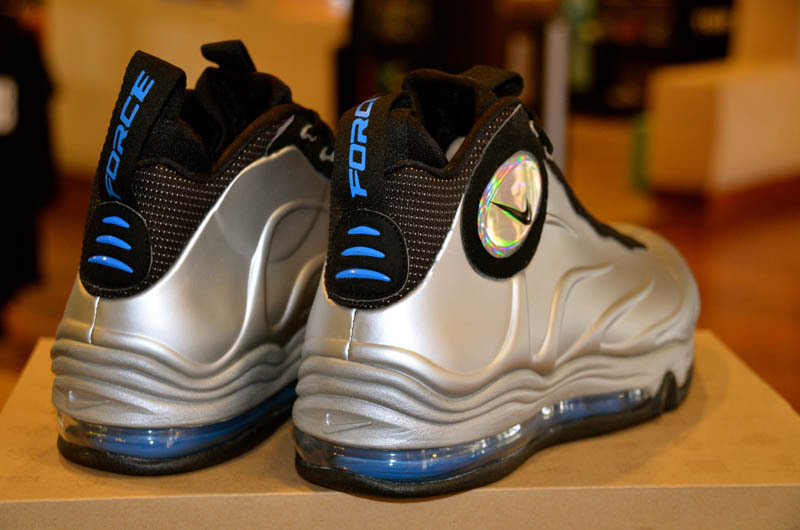 Priced at a healthy $225, look for the Duncan Foams at retail locations like Eastbay starting next month.